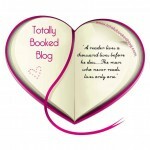 Totally Booked is a Book Blog with a network of over 300,000 readers, reviewers and followers. They have heard form many people the positive impact reading fiction books has had including some who claim that reading and having a network to talk has actually saved their lives. They will set up a themed blog for the year so people can submit short personal stories of what they were going through and what helped change things for them. Totally booed with also do some book reviews and identify a set of authors linked to mental health to come and do a book signing event in Berkshire. Watch this space for more.